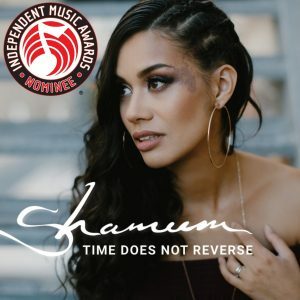 A number of prestigious international songwriting competitions have nominated various tracks from Shameem’s latest EP, Time Does Not Reverse. 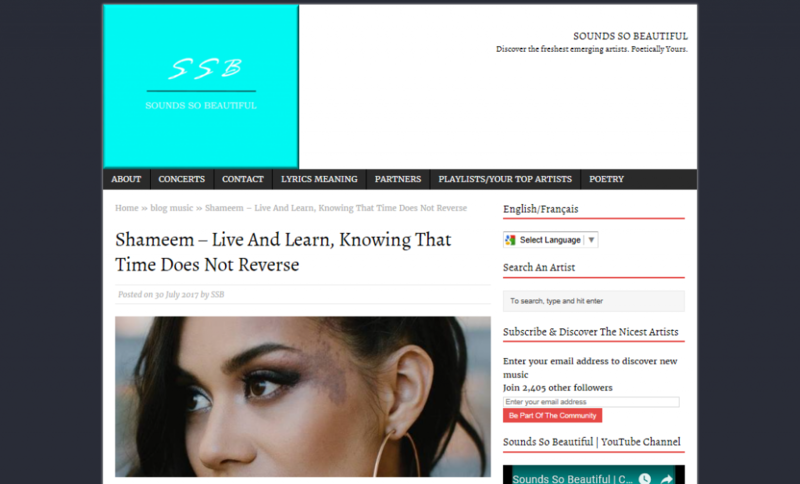 This is in addition to Shameem’s recent grand prize win of the John Lennon Songwriting Contest with the track Pass It On. 1) The Independent Music Awards has nominated Time Does Not Reverse as a finalist in its Urban EP category. The final winners for this competition are yet to be announced. 2) The UK Songwriting Contest has nominated I Love You, But and Just A Show in the finals of the RnB / Urban and Adult Contemporary categories respectively. This means that these tracks were in the top 1-2% of entries from all around the world in their categories. Additionally, Pass It On and Moderation were named in the semi-finals, which means that all four tracks of the Time Does Not Reverse EP were nominated in this competition! 3) The USA Songwriting Competition has nominated Moderation as the finals of its R&B category. 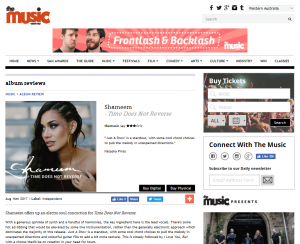 This means that, while the Time Does Not Reverse EP has remained unsung in any songwriting competition in Shameem’s home of Australia, all four of its tracks as well as the EP itself have either won or been recognised as finalists in one of four different international competitions. Just a Show, live at the Time Does Not Reverse EP launch show at The Ellington Jazz Club. Another write-up from French blog Sounds So Beautiful, this time reviewing the entire the Time Does Not Reverse EP. Click on the image below to read the full article. Another review of my EP, this time from The Music. Shameem offers up an electro soul concoction for Time Does Not Reverse. With a generous sprinkle of synth and a handful of harmonies, the key ingredient here is the lead vocals. There’s some hot ad-libbing that would be elevated by some live instrumentation, rather than the generally electronic approach which dominates the majority of this release. Just A Show is a standout, with some cool chord choices to pull the melody in unexpected directions and colourful guitar fills to add a bit more texture. This is closely followed by I Love You, But with a chorus that’ll be on rotation in your head for hours. One-shot DYI video, filmed on an iPhone with a selfie-stick, on the streets of Northbridge, Perth, Australia. Makeup by Suzanah Soffian HMUA; hair by Candise at Shendals Signature Salon. The lyrics for “Just a Show” are here. I love being a performer; I love playing music for a living. I love that every day my job is different to the day before: no two gigs are ever the same. The venue will be different, the audience will be different, the weather and mood will be different. I love being able to share a bit of my soul with everyone through the medium of music. I love the kick that I get when I see people smiling, singing along, tapping a toe, nodding to the beat, dancing, or even tearing up. I love being able to touch and reach people in that magical way that only music can. I love performing with amazing musicians, and I love it when we push each other onstage to create never-again-to-be-experienced moments that are unique to the art of live music. I love, love, love my job. This song is going to be on my forthcoming EP… “Just A Show” is an exploration of the darker side of the entertainment industry. This solo version is from at Song Lounge presented by North Street Music back in September 2016; filmed by Mark Turner.